Inside this video, I’m going to catch you up to speed with the latest and important changes Google just made to their Google Places page. As you know, your Google Places page (previously called Google Local) is an important part of your pet sitting business marketing plan. Since we as pet sitters are a local service provider, it’s important that we show up in Google results for those local searches, like when someone searches for a pet sitter in Seattle for example. OK, so first what’s the recent big change? Well up until a few days ago, your Places page included reviews from third-party sites such as Yelp, Insider Pages and CitySearch. Well first, getting reviews specifically on your Google Places page is now even more important. Google knows this and has brought more attention to that for your clients. Please Note: If you are signed into your Google account while visiting your own Places Page, you will NOT see the ‘Write a Review’ button. This is only because Google recognizes you as the page owner so it does not offer the ‘review’ option to you. Here’s another reason you want to focus on more Places reviews. I did a search for pet sitters in New York City (where my business is located) and you’ll see that after the Google Ads, the results are pulled from local Places pages. My pet sitting business sits squarely between my two competitors but what’s one of the nice big differences? Mine has an attractive 5 star visual, that the others do not. In order to get this star rating to appear, you need to be reviewed on your Places page by at least 5 different users. Google continues to become a huge resource for small business owners like us, especially local service providers. Simply start sending your happy clients to your Places page and ask them to review your service. I send every client we serve a welcome home email thanking them for choosing us, and provide them a link to our Places page if they would like to leave feedback. You can easily generate your own Places link by visiting your own Places page, clicking on the link icon and copying the link. It’s a long link so if you want to shorten it up for use in email, I recommend using Google’s link shortner at Goo.gl. Just plug in your long link, and Google will automatically give you a short url that you can use for life. Finally, if you have not yet downloaded my free Pet Sitter Online Reviews Guide to help you with gaining more reviews, just like APSE on FB and it’s yours. Inside, I also hand you my exact welcome home email that you can modify and use. I know there is a lot in this video. Feel free to go back and watch it again and again if you need to. This stuff is seriously important. Also, if you like this stuff, and want much more of it, consider joining APSE as a member. 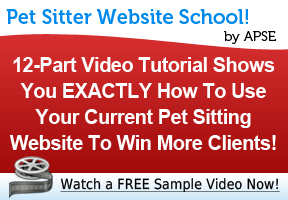 We focus day in and day out on every way to build, grow and make a career from your pet sitting business. 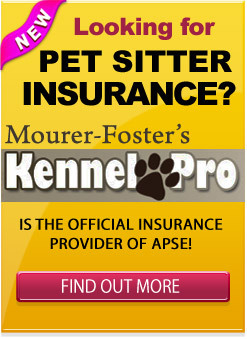 We stay current, and work with experts across many industries to help pet sitters succeed.